I "Promise" You'll Have a Happy Easter! I love this card. Really, I do. I know that I probably should give it away for Easter, but I kind of want to just look at it some more. 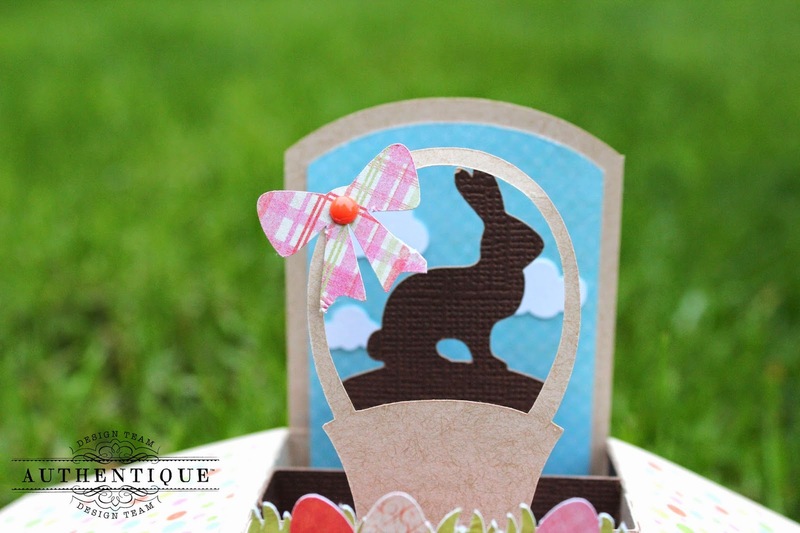 I started with a fun Lori Whitlock A2 Easter Basket Box Card and the 6x6 Bundle from Authentique's Promise Collection. The fun thing about these Silhouette cuts, are that they are super easy to put together and look amazing. They also fold up to fit in a standard A2 evelope! I used a piece of kraft paper for the base, then layered various papers from the 6x6 Bundle. The smaller patterns really make this card pop. 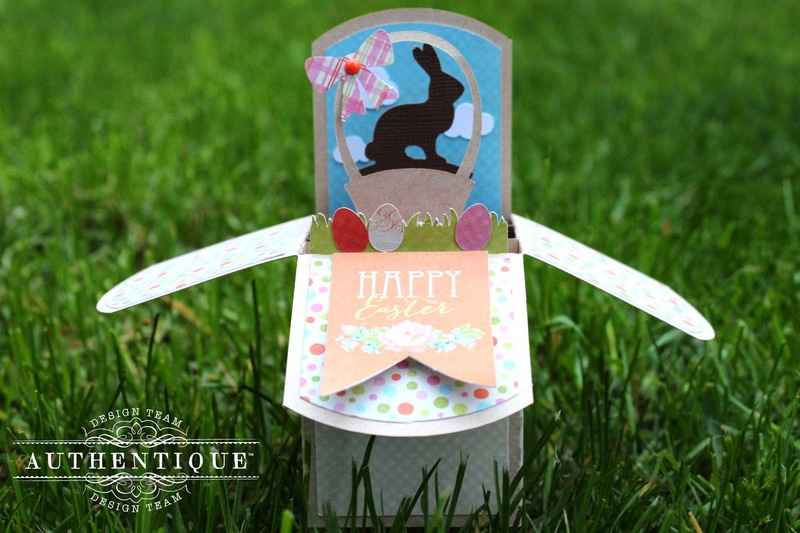 To create the sentiment, I used the Happy Easter banner from the Components 6x12 Die Cuts. 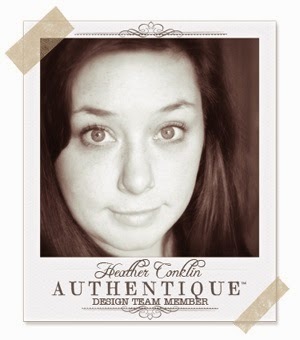 Even the bow was cut from the 6x6 Bundle, then I added a sweet matching enamel dot. 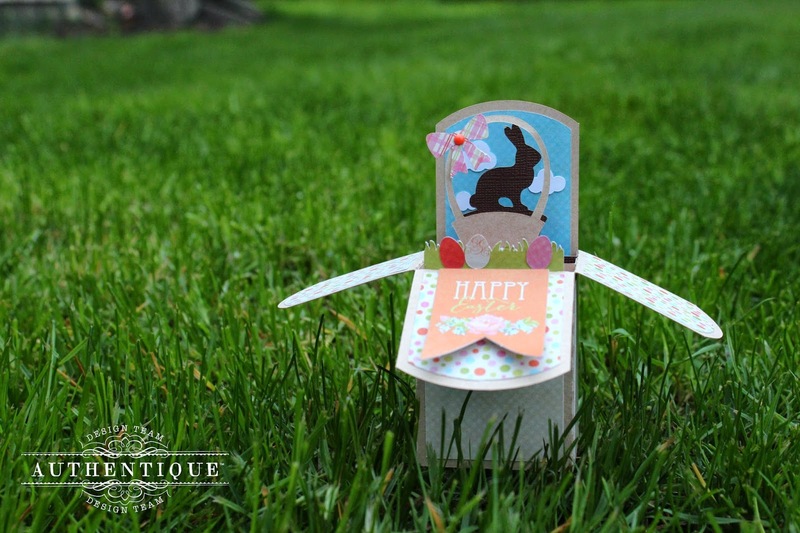 Of course, I had to use some dark brown Core'dinations cardstock to make a fun chocolate bunny! Happy Easter everyone! This is such an adorable Easter project and how it will make such a fantastic display!! Great job and paper piecing!